Our Team Partners bring their very best to work every day and have created and fostered a fun family-like environment where respect for others is key. We recognize that it’s important for Team Partners to feel they have a purpose and a voice within the organization, and that their opinions matter. Select Interests Select a job category from the list of options. Select a location from the list of options. Finally, click “Add” to create your job alert. Keep up-to-date with the latest news, events and opportunities. Find UniFirst jobs that match your LinkedIn profile. 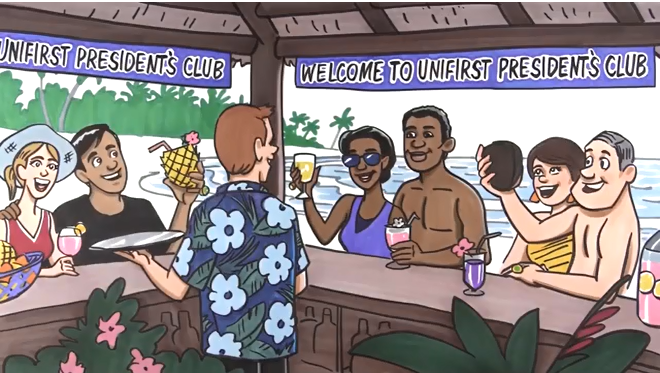 © 2019 Unifirst. All Rights Reserved. UniFirst is an equal opportunity employer. We do not discriminate in hiring or employment against any individual on the basis of race, color, gender, national origin, ancestry, religion, physical or mental disability, age, veteran status, sexual orientation, gender identity or expression, marital status, pregnancy, citizenship, or any other factor protected by anti-discrimination laws.